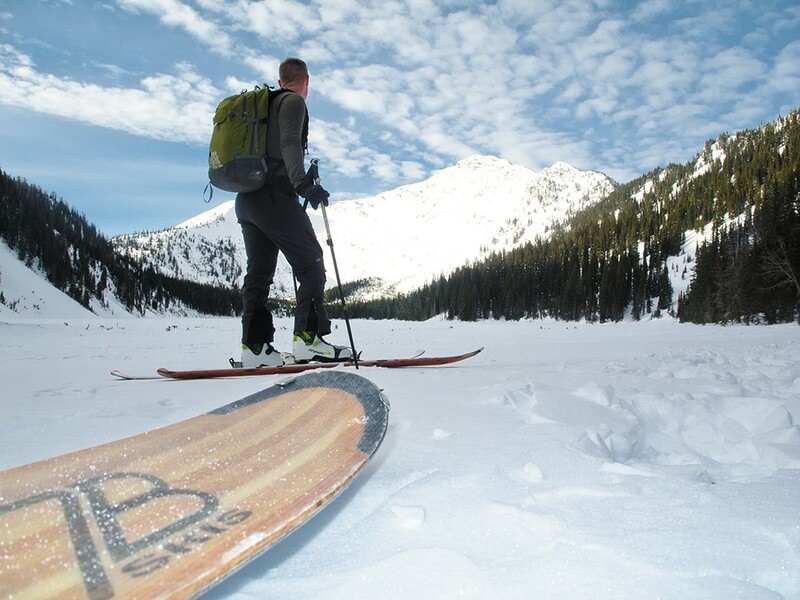 7B Skis are designed and manufactured in Sandpoint. Five years ago David Marx was working at Schweitzer Mountain Resort and skiing as much as possible. The 49-year-old was a lifelong skier who preferred the backcountry. “I was always one who was just kind of out exploring the boundaries as much as possible,” Marx says. So, Marx decided to create his own skis. Skis designed specifically for the terrain. Marx, who is a part-time woodworker, says he realized that he had nearly all the necessary equipment. In fact, the process turned out to be fairly simple. He carved small grooves set in the base of the skis (a typical design in cross-country skis) that catch the snow. This allowed him to both ski up and down hills. Marx didn’t know it at the time, but he’d planted the seeds of his future company — 7B Skis. Three years after building that first pair, Marx says he began marketing and selling skis. In that time, he tweaked the design and manufacturing process in addition to focusing primarily on skis for broad useage. And that, he adds, is the backcountry mentality.